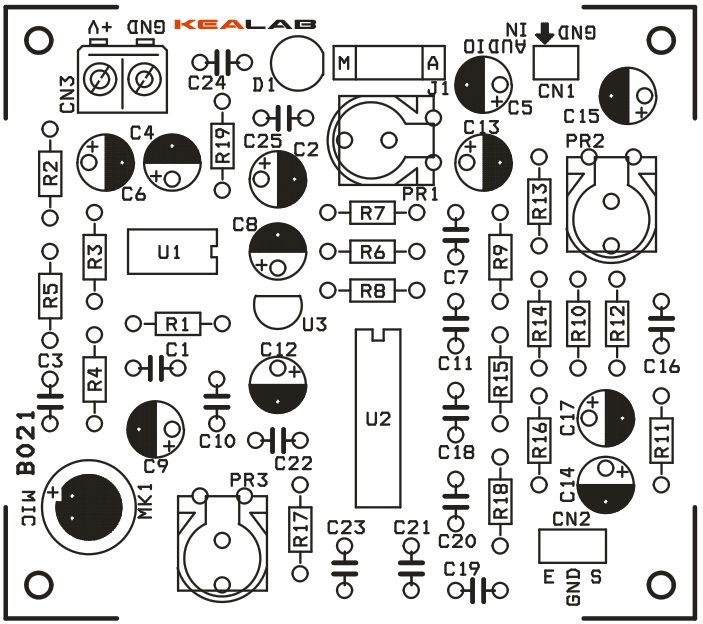 This project is a Voice echo module with build-in amplifier and on-board mic. 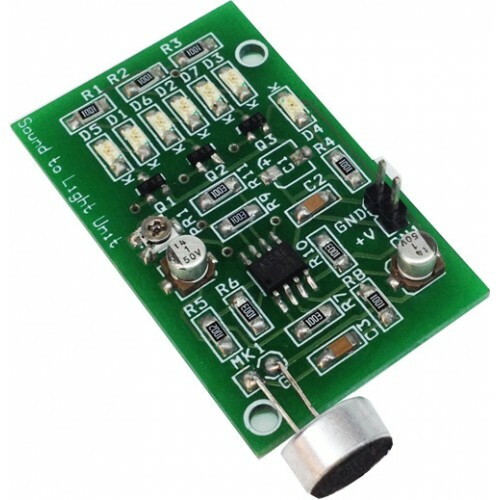 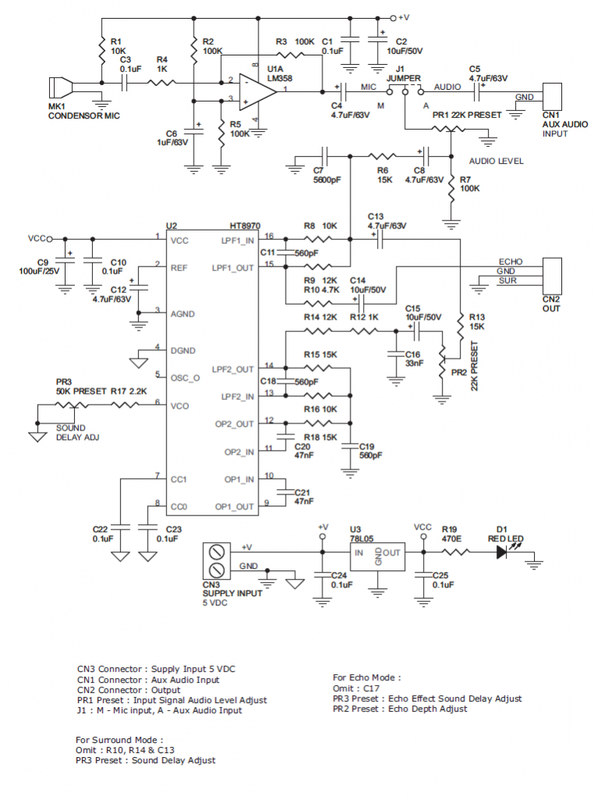 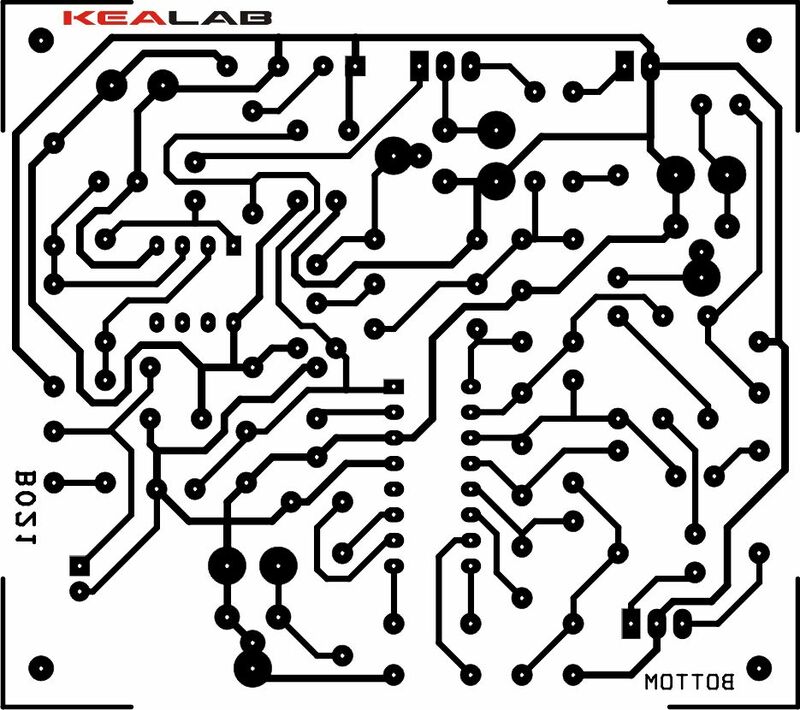 A project has been designed around Holteks Ht8970 voice echo IC. 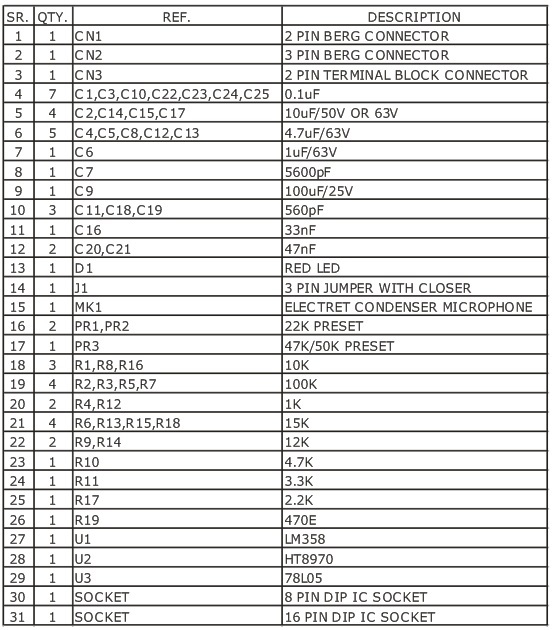 Project can be used in various audio systems karaoke, toys, animatronics, show, display, exhibitions, and sound equipments. 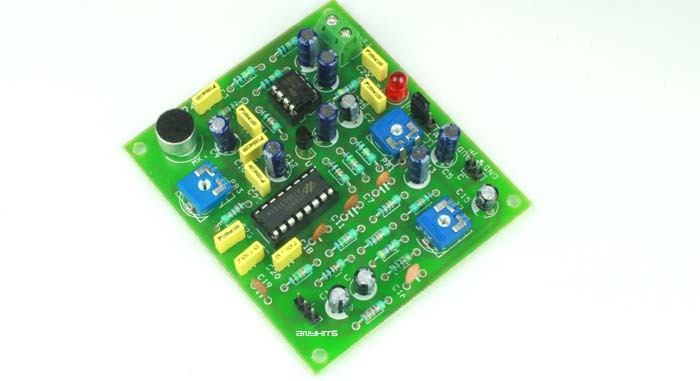 The HT8970 is an echo/surround effect processor. 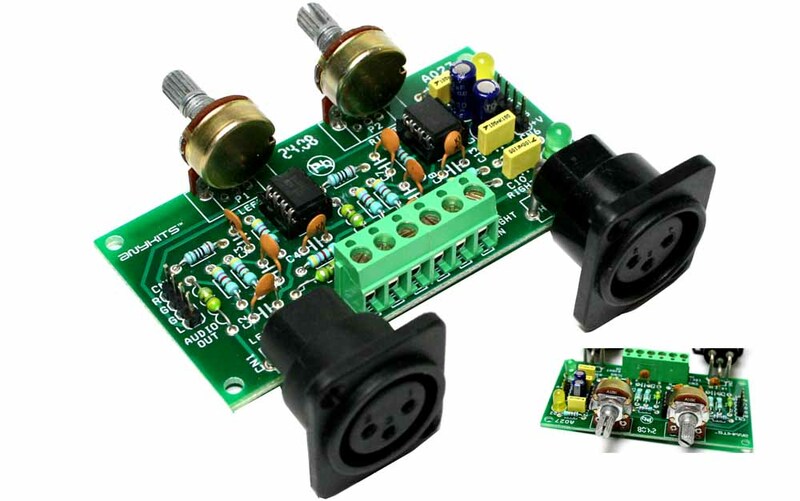 It is designed for various audio systems including karaoke, television, sound equipments, etc. 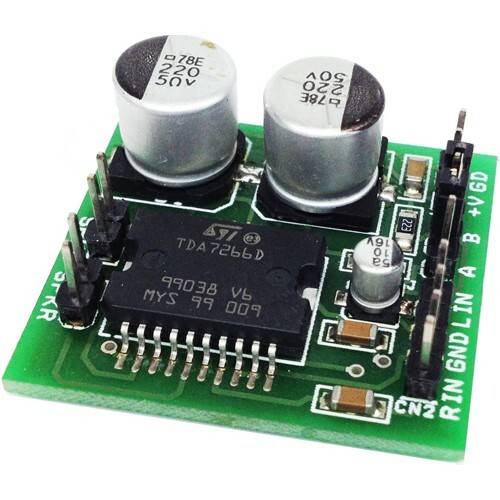 The chip consists of a built-in pre-amplifier, VCO or Voltage Control OSC, 20Kb SRAM, A/D and D/A converters as well as delay time control logic.